The Australian allrounder has been dropped for the first Test with Peter Handscomb taking his place. Australia vice-captain and all-rounder Mitchell Marsh has been dropped for the first Test against India as selectors backed the team’s three specialist seamers to bowl a full workload at Adelaide Oval. 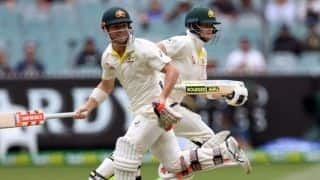 Marsh’s place in the side for the series-opener, which starts on Thursday (December 6), has been taken by middle order batsman Peter Handscomb, recalled for the first time since the tour of South Africa in March and April. 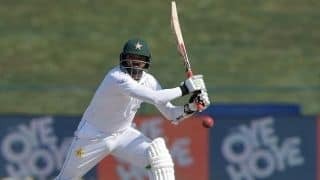 Despite scoring a century for Sheffield Shield side Western Australia in the leadup, Marsh pays the price for a poor tour of the United Arab Emirates where he managed 30 runs from four innings with the bat against Pakistan and two wickets at the cost of almost 100 runs with the ball. Paine confirmed Marcus Harris would make his test debut and open the batting with Aaron Finch in the opener of the four-match series, Australia’s first home test since Steve Smith and David Warner were banned over the Newlands ball-tampering scandal. “He’s been a really consistent player for the last three years and thoroughly deserves the opportunity,” Paine said of Harris. 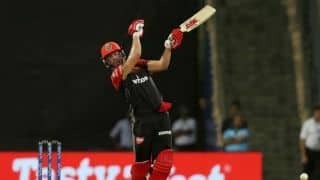 With a scorching 39 degrees Celsius forecast for Adelaide on Thursday, Paine said Australia would be inclined to bat first if he won the toss against counterpart Virat Kohli. Team – Aaron Finch, Marcus Harris, Usman Khawaja, Shaun Marsh, Peter Handscomb, Travis Head, Tim Paine (captain), Pat Cummins, Mitchell Starc, Josh Hazlewood, Nathan Lyon.